When I was younger and unmarried, I eagerly anticipated the release of new Tom Clancy novels. I would buy them after work and begin reading them at dinner, often skipping sleep (and work the next day) to finish them quickly. What drew me to Clancy’s work was the multilayered complexity of his portrait of the espionage business. 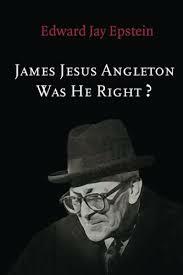 Clancy’s fiction had nothing on James Jesus Angleton’s reality. 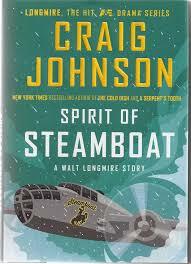 Angleton was chief of the CIA’s Counterintelligence Staff from 1954 to 1975, in many ways the height of the Cold War. His job was to discern KGB disinformation and to ferret out Soviet moles within the CIA. By the end of his career, he was reviled by many and revered by some. Many felt that his anxieties about the bona fides of the CIA’s Soviet sources were paranoid and delusional. Others felt that the arrogance of CIA staff and their unwillingness to admit the possibility of Soviet penetration made them vulnerable to deception. The most crucial question, obviously, was whether Angleton was right. At the time of his resignation in 1975, the answer was not obvious. But the convictions of CIA counterintelligence officer and analyst Aldrich Ames in 1994 and of FBI counterintelligence agent Robert Hanssen in 2001 demonstrated that Angleton’s greatest fear (the feedback loop of disinformation from the outside and a mole on the inside) was possible, even if neither Ames nor Hanssen were operative during the Ames years. Edward Jay Epstein tells Angleton’s story in this little book, laying out in simple form the cause and reasonability of Angleton’s alarm. Evidently, this little book is identical to the opening chapters of the author’s book, Deception: The Invisible War Between the KGB and CIA, so if you want to read the longer book, don’t buy this one. Nonetheless, a gripping story expertly told.